I do not know why I'm so captivated by the tiny black silkie chicken. 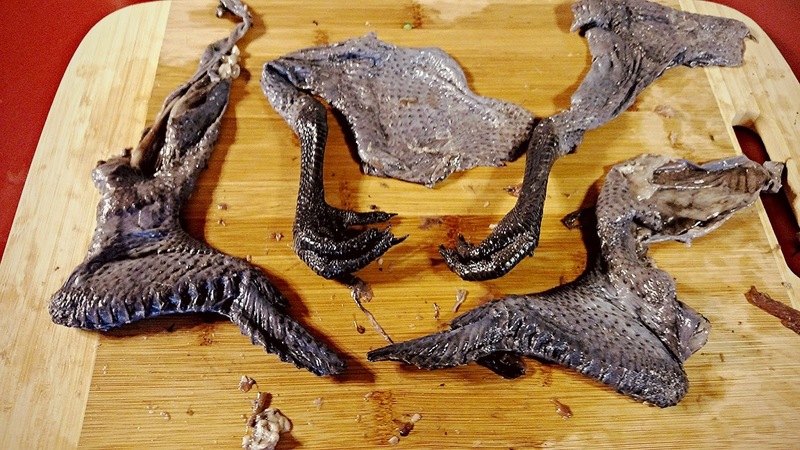 The obvious reason is that it's delicious, but I love all the quirks of the black silkie. 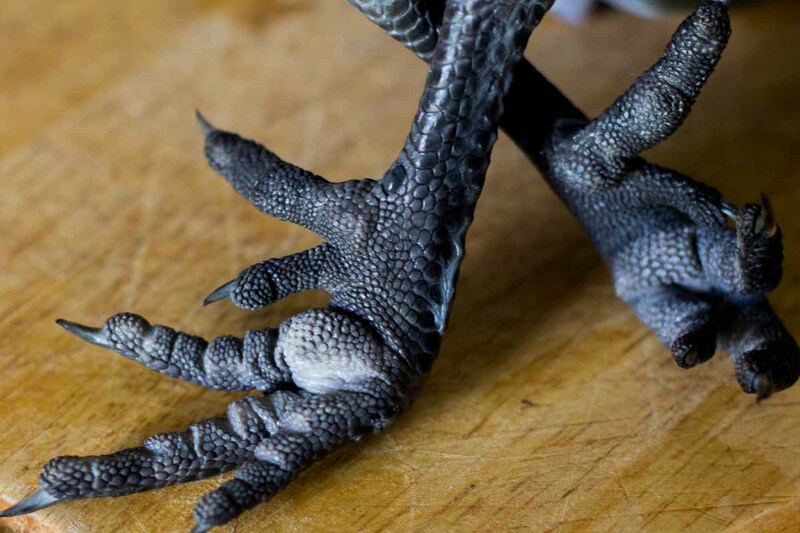 Their extra toes make their feet look like the claws of a gargoyle, but they have the temperament of a nursery maid, even adopting and sitting on orphaned eggs (even giant duck eggs!) Their skin is the color of wet stone, but their bones are jet black, due to a hyperpigmentation gene. As soon as you cook the skin, it turns from grey to a deep, glossy, obsidian black. Despite all the black-on-black-on-black, silkies are colorfast and won't produce a black broth, using either water or fat to try to leach the inky pigment from their bones. 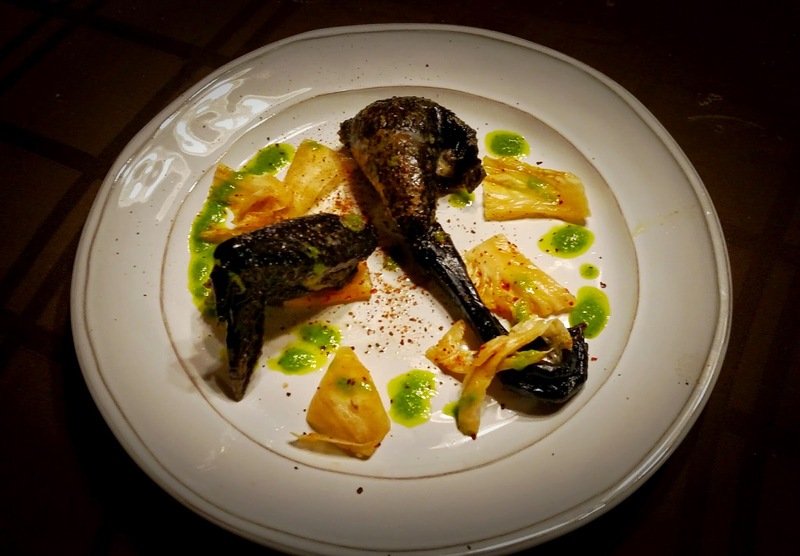 Carla loves silkie soup, but I've been mentally fiddling with the idea of a roasted silkie. 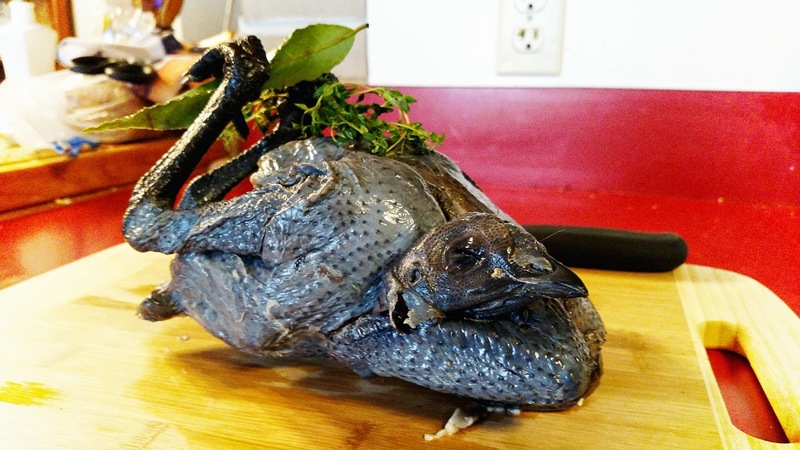 The issue is that silkies are so much bones and skin - there's not too much meat available for roasting. Then I came across an old episode of Top Chef with Susur Lee stripping all the meat from a silkie and wrapping it in the skin. Giving this a shot, I boned out the silkie and cut the skin so that the legs and wings had boneless pockets of skin for stuffing, plus large patches of skin from the thigh and breast for wrapping everything up securely. I took all the meat from the breasts, thighs, wings, and legs and chopped it finely together using several passes with a heavy knife. Once it had taken on a smooth texture, I seasoned it lightly with salt, garlic, thyme and a bit of red pepper. Stuffing the forcemeat back into the hollowed out skin of the wings and legs, I wrapped the excess skin tightly around the silkie's limbs and let them set in the fridge overnight. Assembling the dish was very simple: I just sauteed the legs and wings in a hot pan to crisp the skin, then popped them in the oven to finish cooking through. To add some brightness to the dish, I garnished the dish with Napa cabbage kimchi, scallion oil, and Korean chili flakes. 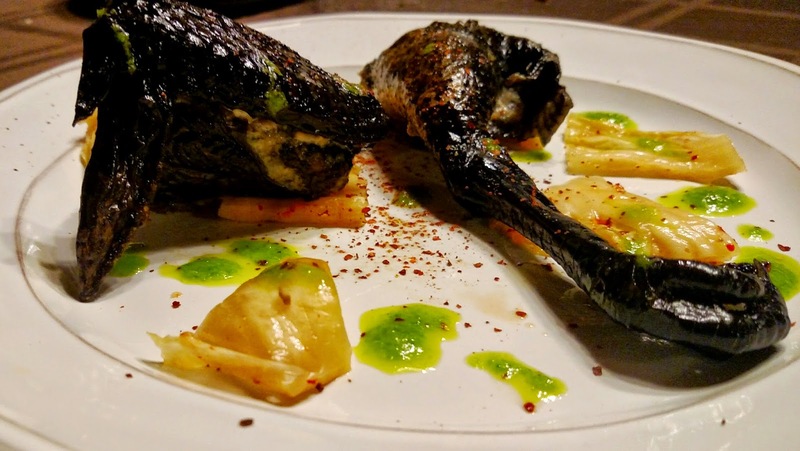 I really enjoyed the finished product of the dish, and treating the silkie like a steakhouse entree, where the protein is simply displayed on the plate with a few garnishes and not crowed with multiple sides. Carla found the double wrapping of skin to be too much skin for her tastes, so I'll probably try a new variant on silkie soup after this.